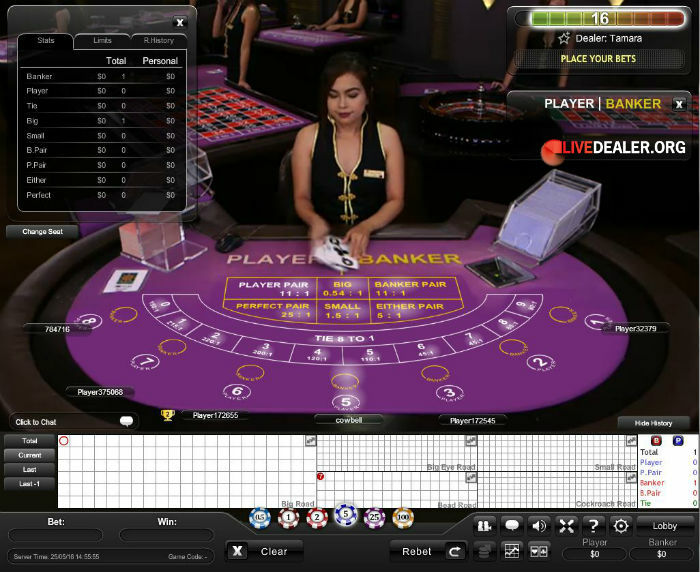 Playtech have snuck in a couple of rather significant changes to their live baccarat table lineup – changes picked up in haste by Fester and noted in his New baccarat features at Playtech thread in the forums. The changes aren’t bad; just a few some more side bet options across all tables, and new No Commission Baccarat tables which do away with the vigorish/commission on the Banker payout (of course the house does take it’s edge elsewhere…more on this below). 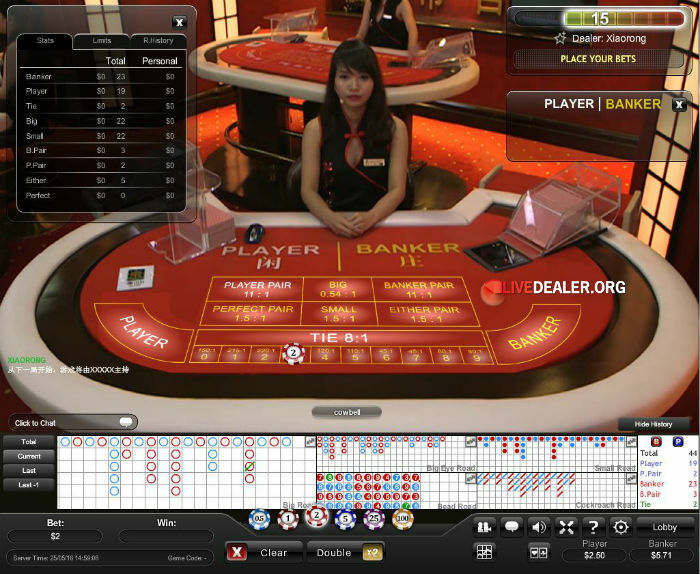 There is now a new side bet option that has been added across all generic tables in both the Euro and Asian studios. Here you are betting on the specific value of a Tie. 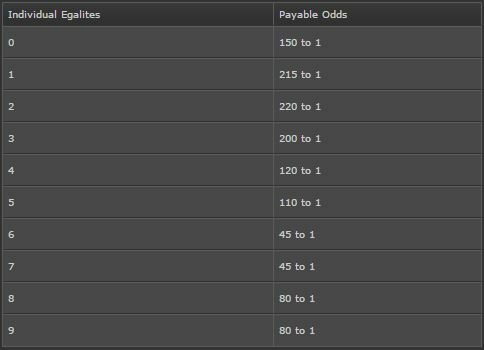 You can make this bet whether or not you have placed a main bet, and you can place as many Egalite bets as you wish…ie, Tie value 3, Tie value 4, Tie value 5 & Tie value 8. Payouts are high, corresponding to the very low odds of picking the exact value of a tie, and are set out below. If you play at bet365 or William Hill (Playtech powered Casino Club) you may have noticed a new category in the live baccarat lobby named No Commission. Open one of these tables and you won’t see a visible difference to any of the other tables. 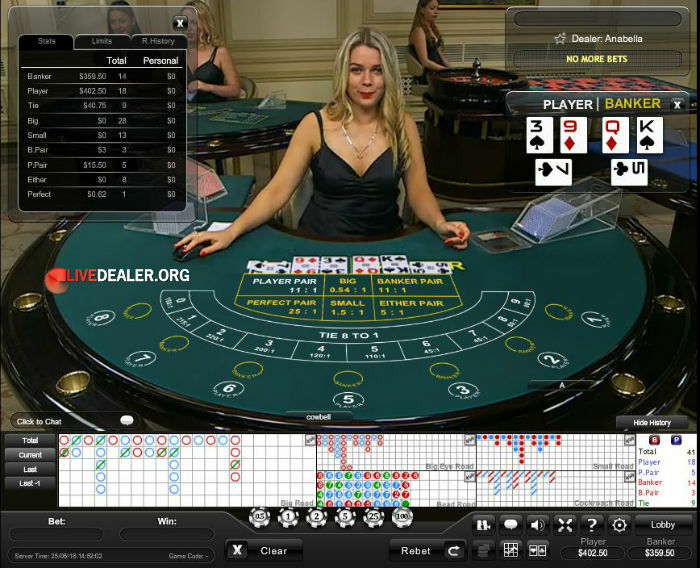 Indeed you will be playing the same dealer and table as if you opened a standard table. The difference here is all to do with the Banker bet payout. Instead of the standard 0.95:1, you get paid 1:1 on Banker wins (ie no house vigorish, the No Commission part, yeah). But, if the Banker wins with a score of 6, the payout drops to 0.5:1 (there’s the commission dressed slightly differently). 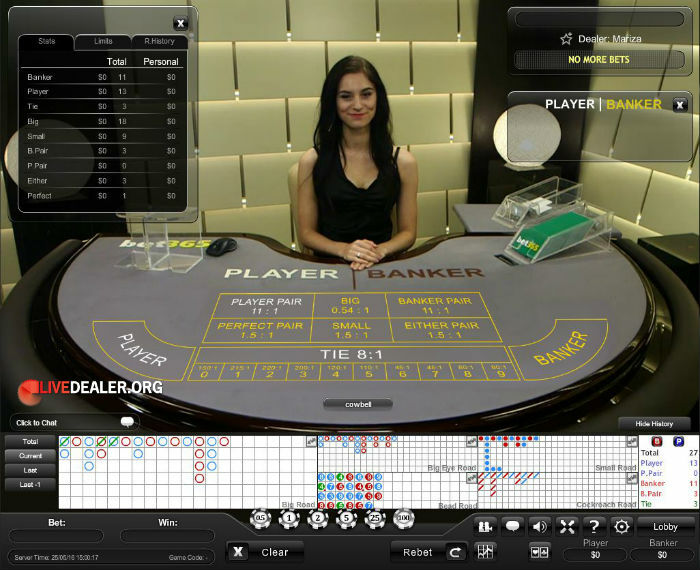 Presumably the No Commission baccarat tables will be made available at other Playtech live casinos shortly.